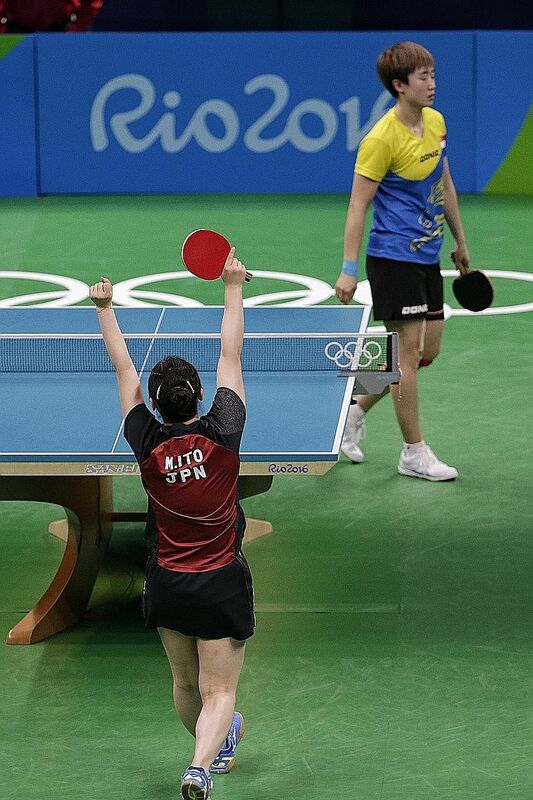 Singapore's dream of winning a table tennis medal at a third consecutive Olympics came to an end early this morning (Singapore time). The Republic's trio of Feng Tianwei, Yu Mengyu and Zhou Yihan were defeated 3-1 by Japan in the bronze medal play-off match in Rio de Janeiro. Although Yu got off to a bright start, beating Ai Fukuhara, Singapore's top paddler Feng crashed 12-10, 11-6, 11-7 to Kasumi Ishikawa. The Japanese doubles duo of Mima Ito and Fukuhara dispatched the pairing of Zhou and Yu before Ito clinched the bronze medal with a convincing 11-9, 11-4, 11-6 win over Feng. The Singapore women's team had won two bronzes at the 2012 London Games and in 2008, bagged a silver.